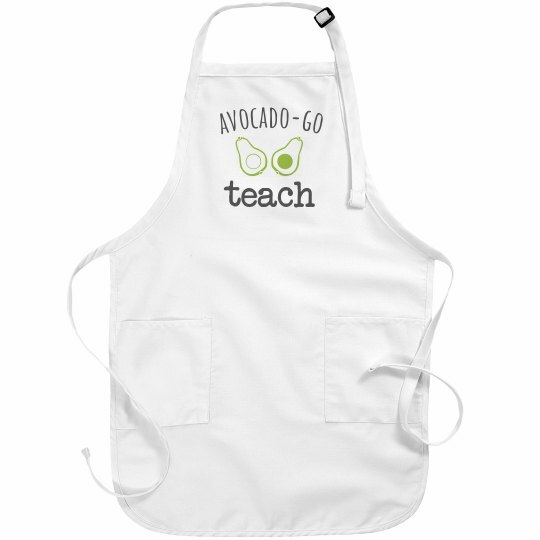 This apron marries education and trend together with this "Avocado-Go Teach" design. Any instructor who regularly makes a mess in the classroom needs one of these bad boys. Get yours today!